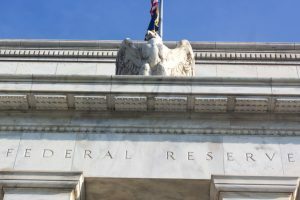 The Solari Report presents the next Special Solari Report in a federal financial series—a summary overview of the legal history and organization of the Federal Reserve by Michele Ferri and Jonathan Lurie. Close up of the Federal Reserve building with the eagle statue. The NY Fed and its member banks serve as the depository for the US government. If $21 trillion is missing from US accounts, no doubt some of it went missing through those bank accounts. This makes the push for a Congressional audit of the Fed particularly timely. If the US government has systematically refused to obey the laws related to financial management, the Fed and its banks and their members as depositories or as primary dealers in Treasury securities have continued to affect the transactions that made these illegalities possible. The question is, why is the Fed financing transactions that are either outside the law or financing an operation whose finances are outside the law? Given that the Fed banks are private and ownership is secret, the potential conflicts are profound. The proof is in the pudding: The centralization of wealth in the US over the last three decades has been significant. Unfortunately, it correlates with bailouts and trillions in missing money rather than markets and meritocracy. The US was just dropped from the top 10 most innovative countries. To understand, let alone answer, these questions, it is essential to know the legal history and organization of the Fed. If the government is operating this far outside the law, it is hard to imagine how the Fed, as its bank and securities dealer, could be operating within the law. Enforcing the federal financial laws may require enforcement actions against the Fed or fundamental reform to Fed authorities and structure.